Well, not an actual seat. We pretty much had to stand for six hours. 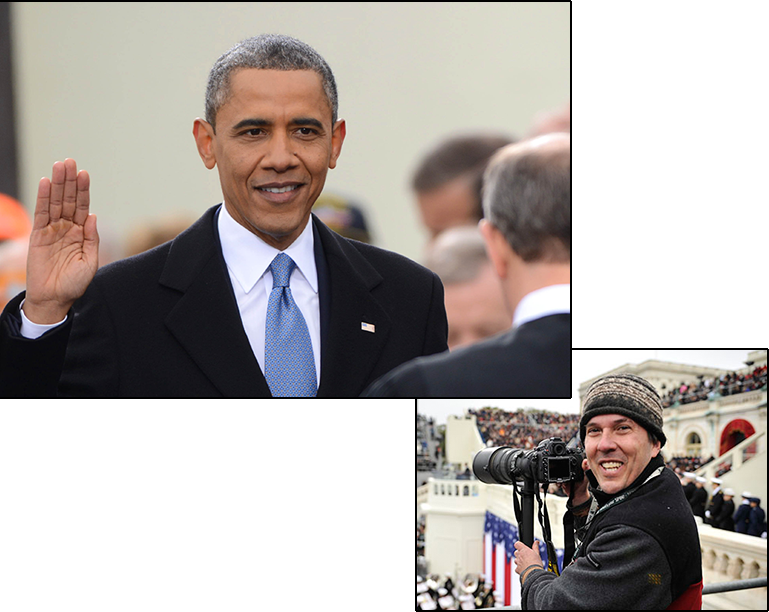 Still, it was the first time I've photographed an inaugural from the "South Media Platform." (Four years ago my job was to photograph people on the National Mall, "The Faces Tell the Story II", which was a great assignment for the first Obama inaugural.) But even if there were no chairs the view was indeed a good one, and since I was there so early, it included a chance to watch sunrise over the Capitol and the Mall. It wasn't a bad way to mark the New Year's, quietly sipping small plastic cups of champagne in the Senate press photographers' gallery as we hunched over our laptops filing photos and the nation tipped over the fiscal cliff. Over in the correspondent's gallery they had beer and pizza. By that time of the night there wasn't much left to photograph. 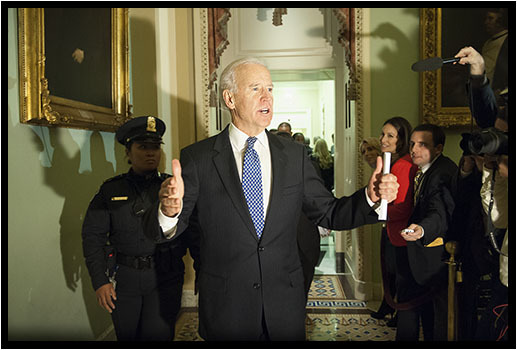 But what was surprising for me was that it wasn't my photos of Vice President Joe Biden touting the cliff deal or Senate Minority Leader Mitch McConnell explaining it to Republicans behind not-quite-closed doors that were being used. 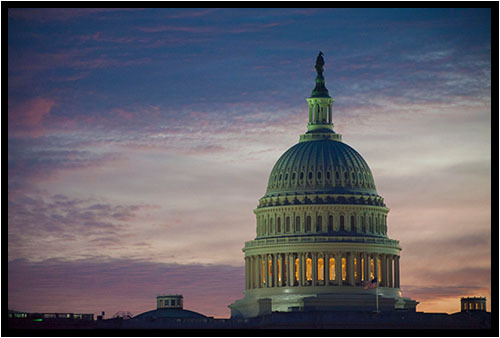 Instead, what kept popping up was a picture of the Capitol dome I'd shot about 18 hours earlier, in the dawn light. It become the lead in the Washington Post's mobile site, then appeared in the Los Angeles Times, the New York Daily News, the Washington Post, the Denver Post, the Charlotte Observer, and other places. Maybe the early bird (or photographer) really does get the worm.